With over 11 years of history, DanceDanceRevolution comes back to the Xbox 360 with nonstop dancing action in your living room! .. Play classics like Super Contra, Frogger and Castlevania Symphony of the Night in its original state or in an enhanced mode with upgraded Hi-Def support at 720p along with a special graphics improvement filter resulting in smoother visual game quality. .. Play classics like Contra, Rush /'/n Attack and Track & Field in its original state or in an enhanced mode with upgraded Hi-Def support at 720p along with a special graphics improvement filter resulting in smoother visual game quality. ..
Silent Hill is back with the eighth installment on Xbox 360 and PS3. [i]This game supports stereoscopic 3D. [/i] ..
Adrenalin Misfits is Konami/'/s first ever Microsoft Kinect title. Also known as "CROSSBOARD 7", Adrenalin Misfits uses the player’s movements to steer their on-screen creature who is barreling down a series of hazard-strewn courses. The player’s jumps and movements are instantly reflected on-screen, with the player totally responsible fo..
Based on the Web comic of Krome/'/s creative director, Blade Kitten is the Brisbane-based studio/'/s second original IP. ..
Battle: Los Angeles is a first-person shooter based on the upcoming film with the same name. Playing as Corporal Lee Imlay, you/'/ll fight alongside characters from the movie, as you defend the main battleground in the heart of LA from an unknown threat. [i]This game supports stereoscopic 3D. [/i] .. Pro Evolution Soccer 2012 is the next iteration in the long-running football franchise, once known as Winning Eleven Soccer. Pro Evolution Soccer 2012 takes digital soccer to the next level by providing a wide range of game improvements over earlier game editions to create the best and most realistic soccer game available to date. Features i..
Join four new unlikely heroes as they battle their way through hordes of the undead. Players will need to navigate through the island, finding various ways to obliterate their zombie aggressors while keeping an eye out for any remaining human survivors. The end goal is to find a way off their island deathtrap, save whomever they can, and do so w..
Silent Hill HD Collection bundles Silent Hill 2 and 3 together enhanced with HD upgrades. Silent Hill Re-Mastered Collection combines two classic spine-chilling Silent Hill titles from the past and brings them to the Xbox 360 and PlayStation 3 for the first time ever. Introducing Silent Hill 2: Restless Dreams and Silent Hill 3 wit..
Blades of Time is an action title by Konami for the Xbox 360 and PS3. In Blades of Time, players don the persona of the gorgeous gunsword-wielding treasure hunter, Ayumi. Blessed with beauty and a trigger happy finger, she/'/s on a mission to find lost bounties in a mysterious and dangerous island. Quickly, she learns this island isn/'/t j..
Get ready to strap in, go back in time and take stick in the most pivotal battles in the history of air combat. Birds of Steel puts you right in the crosshairs of WWII/'/s most intense skirmishes. This original IP blends next gen supremacy and the fine details of aerial combat into a historical recreation fit for flight sim fans and history ..
Freestyle motocross is one of the most extreme motorsports. Head-to-head battles, breathtaking tricks and double backflips in 40ft height – good bye gravity! The Red Bull X-Fighters have been touring around the globe for the last two years, showing their thrilling motocross skills in bullfighting arenas and other unique locations. .. 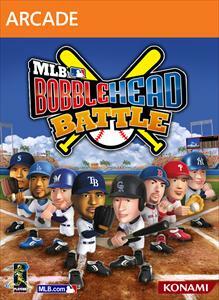 Knock a curveball out of the ballpark with MLB® Bobblehead Battle! This MLB® bobblehead challenge features all of your favorite teams and players with a unique twist – it’s entirely focused on batting! Create customized fields with various obstacles such as walls and slopes while outsmarting your opponent with a dynamic card system that allows cust..
Take control of Alucard, son of Dracula, and experience Castlevania in a whole new way on Windows Phone 7 with Castlevania Puzzle: Encore of the Night! 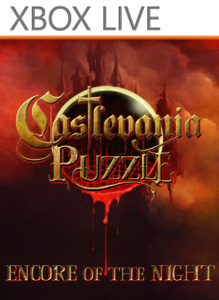 Konami brings you a truly innovative Puzzle-RPG system, an exciting first for the Castlevania series! 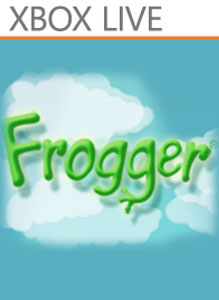 [b]Features and Highlights:[/b] [ul][li] Play as and against characters from Symphony ..
Frogger is celebrating his 29th birthday but has never felt younger. One of the top selling video games of all time just got better with the integration of Xbox LIVE leader boards and achievements. 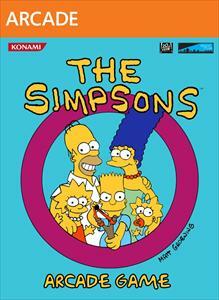 Enjoy this long standing arcade classic in its best version ever! Play the phenomenal sequel. Jump past cars and trucks on the road and hitch a ride o.. The Zone of the Enders HD Collection includes both the original Zone of the Enders and its sequel, Zone of the Enders: The 2nd Runner. Hideo Kojima/'/s legendary series Zone of the Enders arrives on Xbox and PS3 for the first time with the highly-anticipated Zone of the Enders HD Collection. Converted to dazzling high definition graphics and inc.. In the sequel, "Dracula returns once again, weakened and yearning for release from his immortal bonds. Facing a new and powerful threat, the vampire lord must reacquire his old powers, and only his castle holds the key.".. Pro Evolution Soccer 2013 returns to the roots of football with unique levels of control plus major emphasis on the individual style of the world’s best players. Thanks to feedback from dedicated fans, PES2013 offers total freedom to play any kind of ball, which for the first time includes full control over shooting and the first touch. Endorsed by..
Unvealed during Kojima/'/s PAX Prime 2012 panel, Metal Gear Solid: Ground Zeroes is the first open-world adventure in the MGS series. The introduction to a new type of warfare from the critically acclaimed Kojima Productions, METAL GEAR SOLID V: GROUND ZEROES, is available starting March 18 for Xbox 360, and Xbox One!.. Winning Eleven X [Japan Import] (NTSC-J)..
Winning Eleven 2010 for Xbox 360.. Pro Evolution Soccer 2006 (PES 6).. Step up to the fierce competition of the Winning Eleven soccer series. [EU Version].. Pro Evolution Soccer 2009 for Xbox 360 by Konami is the latest update to the award-winning soccer series, with new additions, smarter AI, and better graphics for a more realistic game than ever before. With exclusive rights to the UEFA Champions League, this game will let you play as and against your favorite UEFA players and teams. [b]Pro Evol..
Winning Eleven 2008 [Japan Import] (NTSC-J)..
Winning Eleven 2009 [Japan Import] (NTSC-J).. The Castlevania: Lords of Shadow Collection contains the original [url=http://www.360-hq.com/xbox360/games/Castlevania_Lords_of_Shadow/1157/]Castlevania: Lords of Shadow[/url]. In addition, [url=http://www.360-hq.com/xbox360/games/Castlevania_Lords_of_Shadow_Mirror_of_Fate_HD/2717/]Castlevania: Lords of Shadow – Mirror of Fate HD[/url], the Castlev..
PES 2016 comes with a whole host of new and improved features that is set to raise the bar once again in a bid to retain its title of ‘Best Sports Game’. Featuring 400+ teams, 10,000+ real players and 2000+ photo realistic player faces, celebrate its 20th anniversary with the most advanced football game ever. Love the Past, Play the Future!.. The award winning series returns taking the famed gameplay to a new level by achieving interactive reality in both control and new authentic visuals. Control reality with a host of new improved features to gameplay, including Real Touch and Precise Pass. The new features compliment the focus for the series, which is enjoying playing PES with friend..